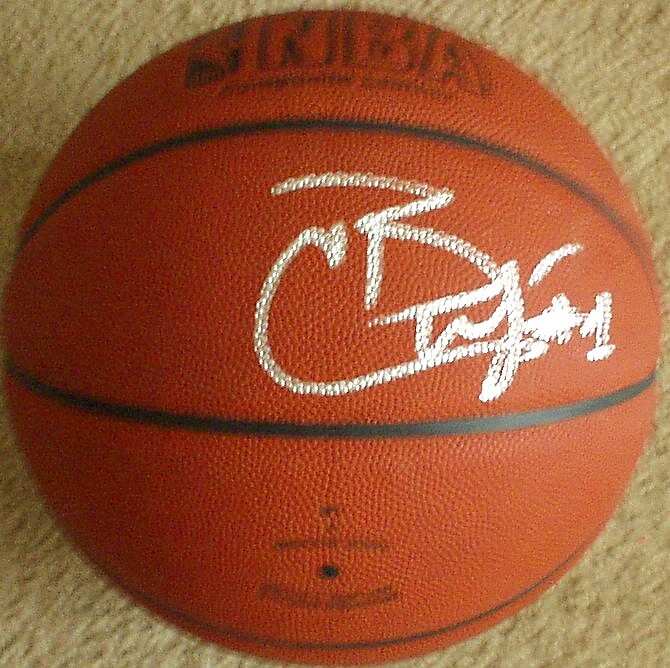 Full size Spalding NBA All-Surface basketball autographed in silver by former Duke Blue Devils and Utah Jazz superstar Carlos Boozer, now with the Los Angeles Lakers. ONLY ONE AVAILABLE FOR SALE. Obtained in person. With certificate of authenticity from AutographsForSale.com.